On March 6, 2014 Bonne passed peacefully into the presence of his Lord at the age of 91. He will be lovingly remembered by his brother Siebren (Alice); his sister Alice Oussoren; sisters-in-law, Hilda and Tinie; as well as numerous nieces, nephews, relatives and friends. Bonne was predeceased by his parents, Hendrik and Jantje; and brothers, Albert, Peter and Klaas and brother-in-law, Mendert. 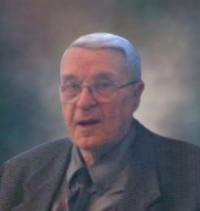 A Visitation will be held between 7:00 p.m. and 8:30 p.m. on Monday, March 10, 2014 at Foster and McGarvey Funeral Home, 10011-114 Street, Edmonton. A Memorial Service will be held at 1:30 p.m. on Tuesday, March 11, 2014 at Immanuel Canadian Reformed Church, 21112-35 Ave Edmonton, AB. For those who so choose, memorial donations may be made Parkland Immanuel Christian School, 21304 – 35 Avenue NW, Edmonton, AB, T6M 2P6.